INFRARED LED THERAPY PAD PAIN RELIEF! HOLISTIC HEALING WITH INFRARED LIGHTS! Red light therapy, sometimes referred to as LLLT (or photomodulation), has been researched and studied for years and has become more and more popular for a variety of health and beauty benefits. However, it may come as a surprise to you that red light therapy has also been used for years by veterinarians across the world to treat dogs, horses, and just about any other kind of animal for a broad range of conditions. Similar to the origins of light therapy for humans, low-level laser treatment (LLLT) was the initial method of treatment on animals. Recently, research has proven that LEDs are just as effective as lasers because of their ability to deliver the same wavelength and intensity of light photons. So, why does this matter? Well, laser equipment is incredibly expensive in comparison to LEDs – which are much more affordable for the average person. 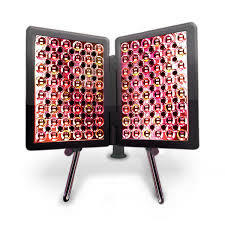 And because the efficacy of LEDs has been proven to be equivalent to lasers, red light therapy is now accessible via in-home use to a much broader audience. So, how does red light actually help animals? Very simply, it delivers an energy boost to the cells, which provides wide-ranging health benefits. Red and infrared light can penetrate your pet’s tissue, muscles, tendons and even bone to increase blood circulation, further promoting and boosting the healing process. Now, if you’re more interested in learning about the specific health benefits of red light therapy, then go ahead and skip to the next paragraph. But if you’re a bit of a science nerd like me and you don’t mind a few hard-to-pronounce words, then let’s proceed. Just know that you’ve been warned.:-RRB-. Red light promotes collagen production, which is vital to the healing process, by stimulating adenosine triphosphate (ATP), which is often referred to as the molecular unit of currency due to its function in cellular energy transfer. ATP interacts with the mitochondria in cells to stimulate oxidative metabolism, which is essentially the conversion of oxygen and carbohydrates to energy. This entire process is sometimes called mitochondrial photostimulation. (1) This is a just a fancy way of saying that red light gives the body’s cells increased energy. Because of this, cells can perform their normal functions faster. In fact, some studies have demonstrated cellular functionality improving by up to 200%! (2 ). Pretty cool, right! Well, let’s move and learn how this increased cellular activity can help improve the health of your pet. What Conditions Does Red Light Therapy Help With? Because of the way it energizes the cells, red light can help with a number of health conditions in animals, including the following:. And there’s clinical data to prove it! In one study, horses that suffered from chronic back pain for years responded so well to red light therapy that in less than 3 months, over 70% were back to training and competing! (3) In addition, studies have also shown that horses treated with red light experience significantly faster tissue healing times. As you know, arthritis is a common health challenge as animals age. But some breeds, such as hounds and bulldogs, are particularly susceptible to joint problems – even at younger ages. Because of the growing clinical evidence, red light therapy is becoming a more mainstream treatment for these types of issues. (5) One such study was conducted on dogs that had surgery to repair herniated disks. On average, the treated group recovered 4 times faster than the control group! (6 ). It’s easy to see why red light therapy is quickly becoming a popular treatment because of its utility and safety. Loving pet owners now have an effective alternative to costly (and sometimes harmful) medications and/or painful surgeries. Just like anything, you need to do your research and select a device that is optimized for power output and treatment area. But if you choose wisely, you AND your beloved pet can start enjoying the healing power of red light in the comfort of your own home! 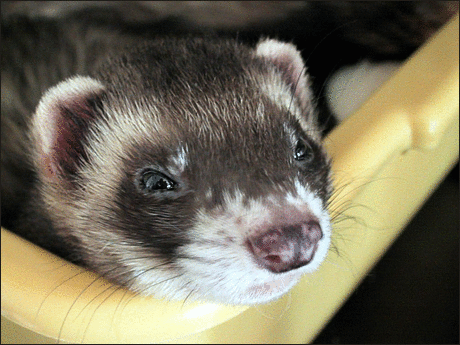 This entry was posted in Ferret Health Tips, Uncategorized and tagged Aids Healing, and Neuropathy, Chronic Pain, Circulation, Easy, Effective, RadLites, Red LIght Therapy for Pets on November 24, 2018 by admin.